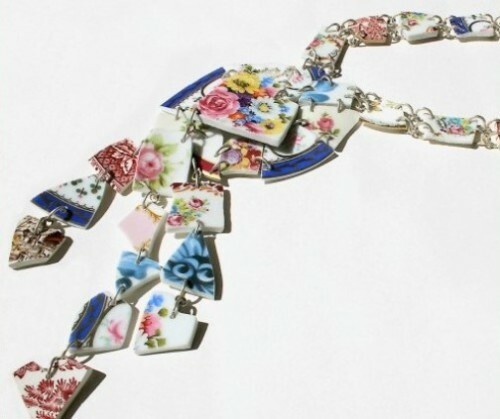 Italian designer of unusual jewelry decorations, Mariella Di Gregorios creates them from the fragments that were once a luxury porcelain. As a result, a gallery of stunningly beautiful necklaces, pendants, rings, earrings and bracelets. According to the designer, art has always interested her, even since childhood. Graduated from the Academy of Fine Arts in Palermo, the young artist moved to Milan, where for several years she worked in the field of graphic design. Meanwhile, she decided to create her own brand, named after its creator – Mariella Di Gregorio. Noteworthy, each jewel is a unique, handcrafted piece, and right for women who like to express their uniqueness, femininity and originality. An important element in shaping jewelry of XVIII-XIX century were quite complex decorations made of precious stones, gold and silver. Some ornaments picked bouquets of bright stones: amethyst tulips, ruby ​​roses, aquamarine daisies, turquoise forget-me-nots, butterflies with transparent agate wings, and chalcedony flies. 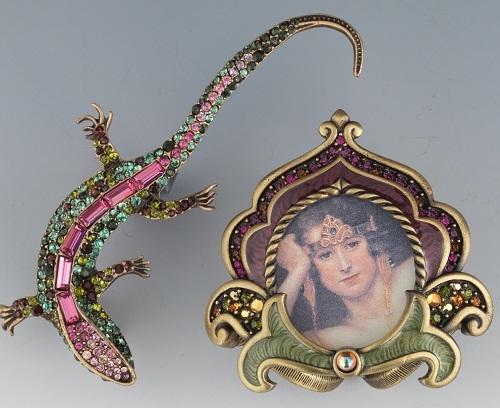 Besides, Art Nouveau jewelers used feminine and fantasy figures, stylized flowers, vines, leaves, scrolls, birds, serpents and insects in beautiful enamels. Gemstones and pearls were incorporated into the designs of gold work. Jewelers widely used techniques of casting and stamping, hand and guilloche engraving. In addition, used matte and shiny gold and gold green, yellow and red, opalescent enamel, pearl, engraved and smooth. Balance, strict symmetry ornaments were essential in this style, and many pieces were brightly colored. 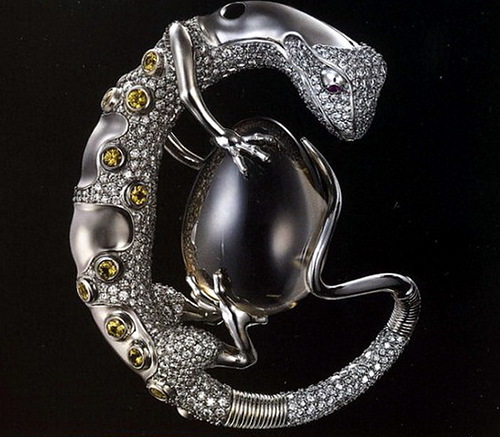 In fact, Art jewelers rebelled against the mass production of jewelry. 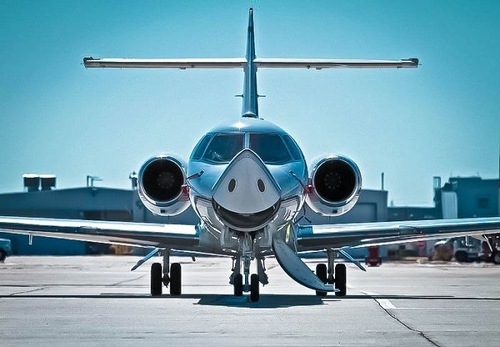 Have you ever noticed, that we are surrounded by weird faces everywhere? Really, look closely at the things around you. It is quite possible that at this very moment something is watching us – a smiling face outlet, or the house, just next to you, winks to a passersby. Indeed, some inanimate objects, with the outlines resemble human faces. Meanwhile, these weird and still peaceful creatures are waiting to be noticed and photographed. Just take a camera and start your journey. Born in 1914 in Los Angeles, California, John Leslie Coogan (Jackie Coogan) became one of the greatest actors of cinema. 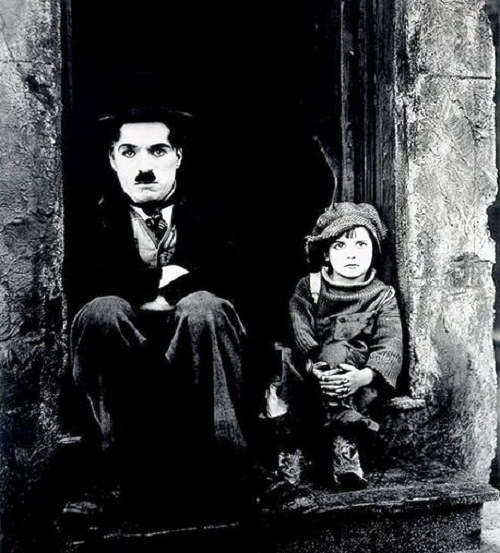 As a child actor, he is best remembered for his role as Chaplin’s irascible sidekick in the film classic The Kid (1921), and for the title role in Oliver Twist. 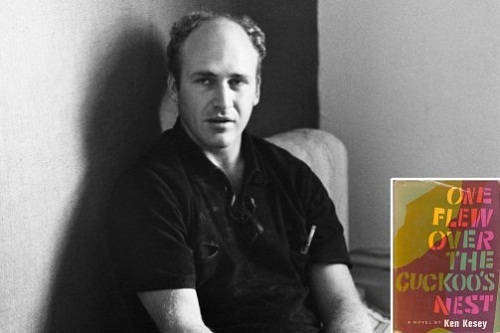 Coogan took up the cause of the Armenians, Greeks, and others made destitute during the horrors of the First World War, working with Near East Relief. He toured across the United States and Europe in 1924 on a “Children’s Crusade” as part of a fundraising drive, which ended up providing more than $1,000,000 in clothing, food, and other contributions (worth more than $13 million adjusted for 2012 dollars). Accordingly, honored by officials in the US, Greece, and Rome, he even met with the Pope. Buryat genius Dashi Namdakov lives and works in Eastern Siberia, near the beautiful Lake Baikal. Born in 1967 in a small village in the Chita region, Dashi grew up in a family of national craftsman. His father, known in the village as a man able to do with his hands literally everything – furniture, metal handles, and even carpets. Besides, his wood-carved sculptures and Buddhist icons decorated the local monasteries. So, from the very childhood, helping his father, Dashi learned different crafts, using different materials. Dashi graduated from Krasnoyarsk Institute of Art. In 2000, after his first solo exhibition in Irkutsk, it became clear that the art world has a new name – Dashi Namdakov. Then followed successful exhibitions in other cities of Russia, and successful shows abroad. According to the artist, people should perceive the world as it is, because its creator is wiser than we are, and then “you open the real beauty”. No matter how much cats fight, there always seem to be plenty of kittens. Abraham Lincoln. Creative and talented designer and artist Daimahtri Juralga Nord (I suppose, it’s his nickname) was born in Ryazan, Russia, on May 16, 1986. In 2011 he graduated from Information Technologies Institute, Graphics and Design Department. He does one-of-a-kind things – drawings, miniature painting on stones, weaving, and graphics. 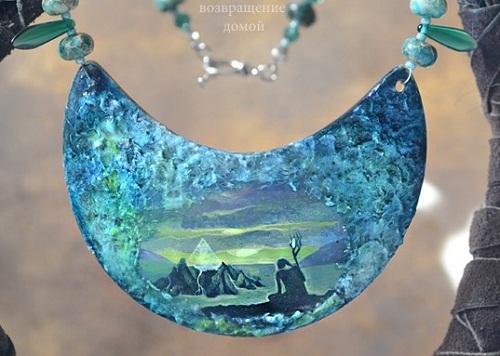 In addition, he creates costume hand-made jewelry – necklaces, beads, earrings, and pendants. In short, whatever Juralga does, his masterpieces are always inspired by cats. Besides, he has given them a mysterious property of shamans.